There is a saying in Turkish, "41 kere masallah" " Forty first time,good luck "
Since July 3rd of this year, there has been a lot of water passed under the bridge but no solutions was found for chaos in the Turkish Football! Even foreign news agencies like Reuters, after recent elections, wrote this, in their headings about Yildirim Demiroren, becoming the new head at TFF! That is the most powerful news organizations "Reuters", heading about Turkish Football! 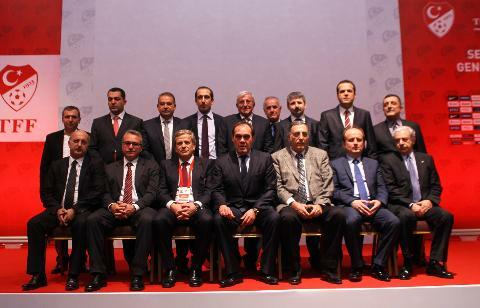 Yıldırım Demirören ran in the presidential elections as the only candidate for the TFF presidency. "My only aim is for us to come out of this chaos unscathed, without hurting anyone or upsetting any person or team"
If the decision on match fixing case don't come out before the end of the march , UEFA, will speak instead!